← So, How Do You Start With The End In Mind? 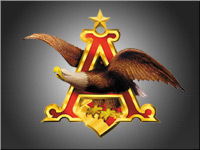 This entry was posted in Advertising, consumer goods, creativity, customers, Marketing, marketing communications, Orogen, Public Relations, sales and tagged advertising, Anheuser-Busch, marketing, public relations, sales. Bookmark the permalink.